Dog’s tooth violets, toad lilies, call them what you will, starry flowered erythroniums lend a touch of the exotic to spring meadows and woodlands. 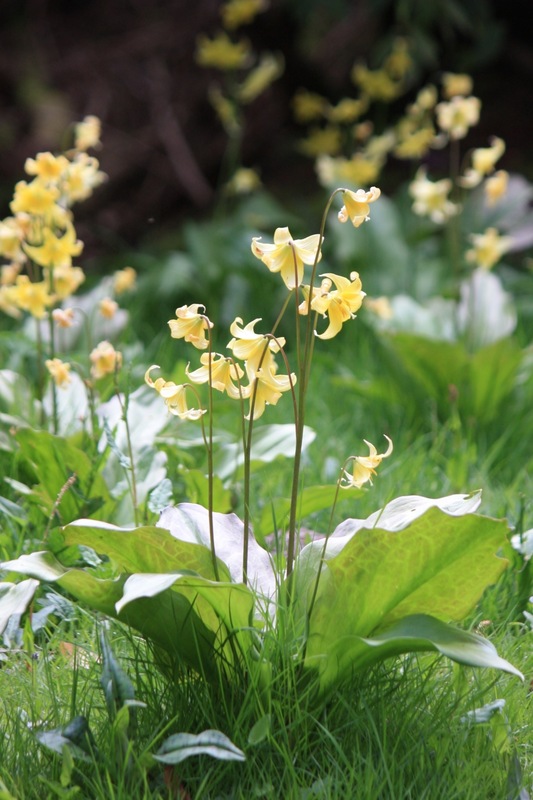 Erythronium ‘Pagoda’ is one of the very best hybrids, each stem carrying up to 10 nodding yellow flowers hovering above equally attractive marbled foliage. This is a vigorous bulbous plant which will form a decent clump. Pictured here in the lee of rhododendrons at Sandling Park, Kent.